Uzbekistan: A Breeding Ground for Terrorism? 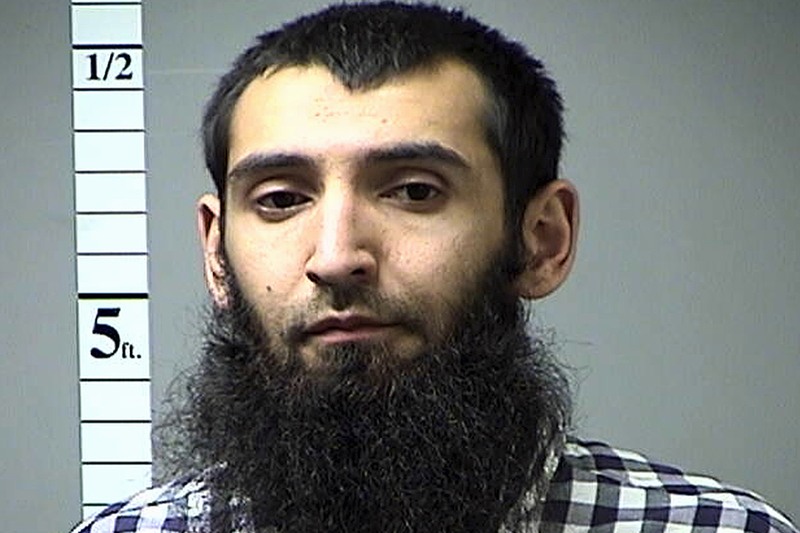 A mass killing in New York perpetrated by a citizen of Uzbekistan is reviving fevered speculation about the dangers of Islamist-inspired terrorism spilling out of Central Asia. People who study the region have long warned, however, against rushing to weave simplistic narratives about religiously motivated violence. The biography of the man that police have identified as the driver of a rented van that plowed into pedestrians and cyclists on a Manhattan bike path on October 31 is a vivid illustration of the challenge facing those in search of clear-cut explanations. Sayfullo Saipov, 29, is the archetypal migrant who got a lucky break in his pursuit of the American Dream. He moved to the United States in 2010 by winning a slot in the US Diversity Visa Lottery – an initiative that US President Donald Trump is now threatening to scrap. In 2015 alone, more than 1.3 million Uzbeks – roughly one in every 25 people living in the country – tried their luck in the lottery. Only around 2,500 of those applicants got US visas. According to US media reports, Saipov has lived variously in New Jersey, Florida and Ohio. In the first years after settling in the United States, he seems to have tried to go into business, setting up trucking companies. In 2013, he got married in Ohio to a 19-year old woman, Nozima Odilova, who is also from Uzbekistan. The couple have two children. Somewhere along the line, it all went wrong for him. In the immediate wake of the attack, pundits appearing on US cable news programs sought to cast Saipov as a piece in a broad interconnected militant Islamist puzzle, noting that citizens of Uzbekistan, or ethnic Uzbeks from elsewhere in Central Asia, have been implicated in recent violent activity in disparate locations – including New York, St. Petersburg, Stockholm and Raqqa. Such instant analysis falls short, mainly because it has to oversimplify in order to make a pattern plausible, many regional scholars contend. Edward Lemon, a postdoctoral fellow at the Harriman Institute at Columbia University, warned against drawing in such broad strokes. “We are talking about at least three issues here. Those who actually go to Syria and Iraq, those who have limited links to the [Islamic State] and conduct attacks in its name, like Stockholm earlier this year, and then you have those who stay in Central Asia and are recruited there. There is a tendency to conflate all three,” Lemon said. Speaking from the Uzbek capital, Tashkent, Steve Swerdlow, Central Asia researcher for Human Rights Watch, said he was appalled by the way in which the attack in New York was being characterized. “They [television pundits] seem to be drawing this line between this attack, which looks like it is ISIS-inspired, to the issue of Uzbeks directly fighting in Iraq and Syria, which is a total different demographic,” Swerdlow said. Research is still lacking on the dynamic that pushes expatriate Central Asians to turn to violence, but Lemon noted that the wider body of literature on “lone wolves” seems to point to some crossover in motivations with mass shootings. Factors can include recriminations over marginalization and injustice, lack of belonging, and personal grievances and family troubles, Lemon said. The emerging picture of Saipov appears to confirm that view. Speaking to RFE/RL, Mirrakhmat Muminov, a long-term acquaintance also living in the United States, described Saipov as not being especially devout when they first met, but that he had become interested in religion in the past few years. Another acquaintance, an ethnic Uzbek, told RFE/RL that he noticed that Saipov was clearly depressed of late. “He kept everything inside him. He isolated himself from the outside world,” the acquaintance, who requested anonymity, told RFE/RL. In some instances, new arrivals from Central Asia to Russia, the United States and Western Europe might already nurse extremist ideas, while lacking the impetus to act upon them. “We need to understand what enabled them to act upon radical ideas after they immigrated. In every context, pathways to radicalization might vary, but the general pattern is probably a lost sense of self-worth and belonging in a western society, coupled with access to radical ideologies such as ISIS,” said Erica Marat, associate professor at the College of International Security Affairs, in Washington. Marat said law enforcement agencies in the West need to avoid treating entire ethnic and religious communities as suspects, and instead work with them to identify individuals that might feel disenfranchised and lost. The reaction in Uzbekistan to the events in New York was a combination of the novel and the usual – an indication that authorities there are no more certain than anybody else how to properly address the issue. In a break with custom, President Shavkat Mirziyoyev immediately acknowledged the violence and expressed his condolences in a direct appeal to US President Donald Trump. And in a tacit admission that an Uzbek citizen was involved, he offered to help. “Uzbekistan is prepared to provide all measures and means to assist in the investigation of this terrorist act,” Mirziyoyev said in a statement. For all that, news bulletins on state television made no mention of the incident in New York. This fits the oxymoronic narrative that has long underpinned Uzbekistan’s rhetoric on Islamist radicalism. Namely, that the country is at perpetual risk from terrorism, but also completely safe from it on account of the pervasive and suffocating security presence. Swedish-based Uzbek political analyst Pulat Ahunov said that the propensity for some of his countrymen to fall prey to toxic influences has roots in their cultural background. “Uzbeks are of their own right very religious people, and so if they gravitate into extremist-minded circles abroad, they become very easy to manipulate,” Ahunov said. Contrary to common assumptions about Uzbekistan being plagued by terrorism, the most recent atrocity known to have been carried out in the country occurred as long ago as 2004. On that occasion, suicide bombers reportedly struck the embassies of the United States and Israel, killing the security guards. As rights groups have documented in detail, the Uzbek government’s reaction to such episodes has been wide-ranging, harsh and indiscriminate. Under the guise of combating terror, authorities have jailed, intimidated or forced out countless religious activists and dissidents. And so in the process of countering the flowering of extremism, the Uzbek government may simply have shifted the problem elsewhere. As Viktor Mikhailov, editor of Tashkent-based Nuz.uz news website, told EurasiaNet.org, almost anybody disposed toward radical ideas has long ago fled the country. “There is no room for radicalism in Uzbekistan, that is why they leave,” Mikhailov said.